FRESNO STATE!!! FRESNO STATE!!! FRESNO STATE!!! 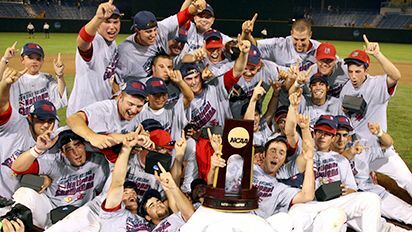 As most of you may know by now, the Fresno State Bulldogs are the 2008 College World Series National Champions. This is only the second National Title in school history, the first was the Women’s Softball Team in 1998. 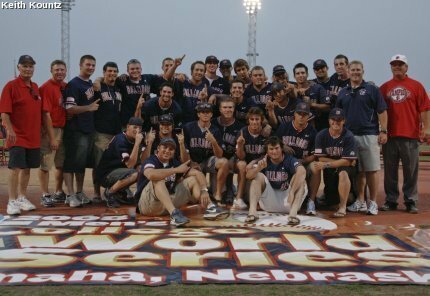 I am not really all that into Baseball but when it comes to the Diamond Dogs, consider me the biggest Baseball fan around. Being the lowest seeded team everyone thought that they wouldn’t last very long. After winning game after game they started to become a Cinderella team, Underdogs to Wonderdogs. They knew that they were no fluke and believed in themselves. They are an inspiration and true heroes. I have always been a proud and loyal Bulldog fan ever since I can remember. All I can say is GO DOGS!!! This is one memory that I will never forget. This and the Freedom Bowl, I was at that game, good times. Now its time for a Football National Championship, PLEASE Coach Hill!! !